Best viewed in Firefox on a computer with Edwardian Script ITC font. Thank you for viewing Evan's petpage application, run by Eliza. I do hope you find it enjoyable to read. 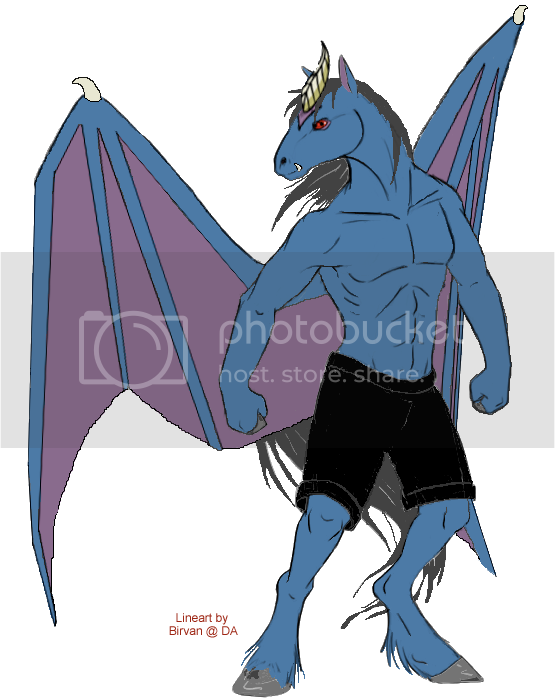 It may be helpful to note that, Evan is a generic name used to refer to any UC Darigan Uni, and throughout this petpage, I will often call this Uni either Evan or the prince. The navigation scroll is to your left. Each of those links will take you to a different part of the page. This page is designed to be viewed in Firefox or Chrome. It may not do very well in Internet Explorer. Furthermore, if you don't have Edwardian Script ITC font all the headers may look horrible. If you suspect this may be the case, check to see if you have Edwardian Script (in a writing program such as Word) and if not, let me know, and I will gladly remedy the problem as soon as possible. If your screen has a small resolution, this page might not fit on your screen. It may help to press F11 (on a PC) to make it fullscreen. Above all else, enjoy the petpage! Parents: Common Unis from Terror Mountain who don't know where their son is. 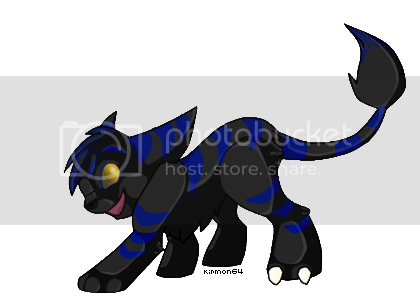 Petpet: Blue Gathow, a large panther-like creature. 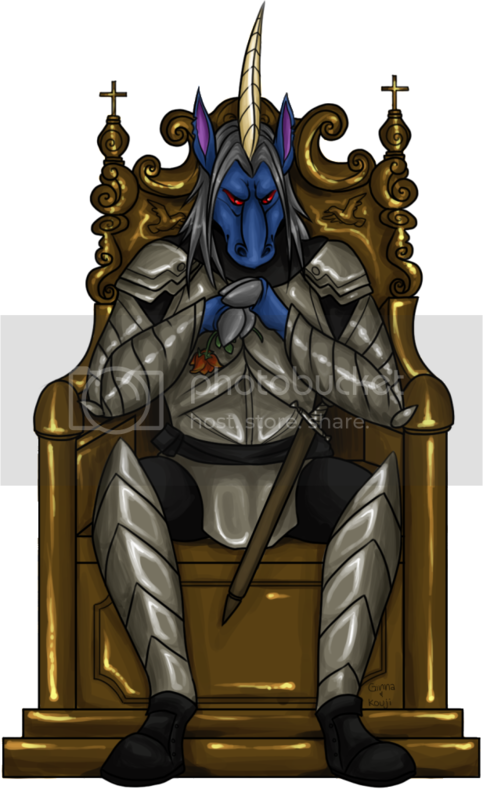 While Evan's intelligence and bravery make him an amazing strategic planner and a fearsome enemy, his lack of relational interaction, attachments, loyalty, and the absence of almost all morals do not make him a kind and compassionate ruler. He looks at life as a game that he is cunning enough to win, and he looks down on everyone who lacks the brainpower to see it as such. With this attitude, he justifies taking everything he can from life and making his subjects work to satisfy his greed. Draf images to URL bar to enlarge them, and hover over images to see who drew them. 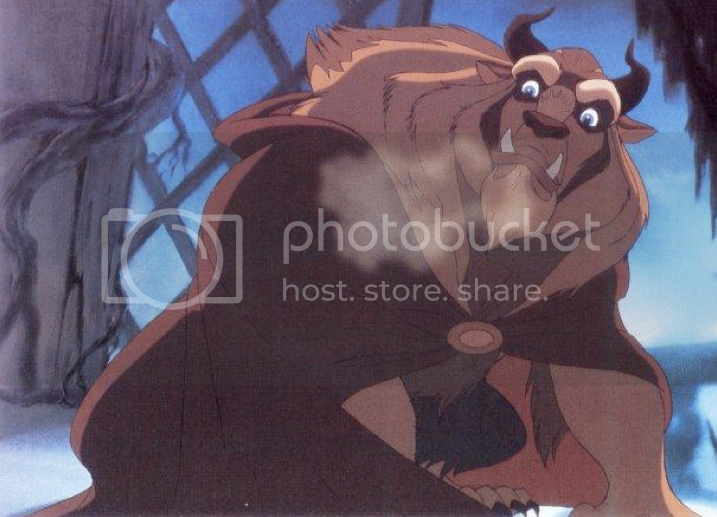 I think one of my biggest inspirations for creating the character of Evan was Beast from Beauty and the Beast. Beast was, in my opinion, the most handsome of the Disney princes, both as a beast and after he is restored to his human form. He is also the least weak of the Disney princes, and he becomes the most vulnerable. This really helps Belle shine in a "savior of mankind" way, which is always a nice and often accurate portrayal of women. Beast also shows a lot of typical guy behaviors that are irritating and cute. (I am not talking about his rage, here.) Mostly his insecurity and ignorance. He is also self-sacrificing enough to let Belle go, and did not lift a hand against his enemy until he realized that it was her enemy, as well. 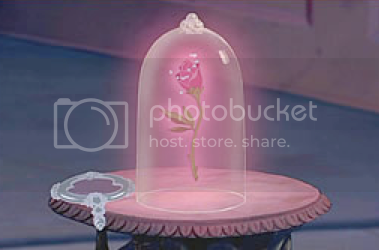 Of course there is also the fact that Beast has an enchanted rose, and I love roses. Furthermore, Beauty and the Beast was my best friend's favorite Disney movie. It is very special to me because of that. Evan has many dissimilarities from Beast, however. He is not insecure or desperate, and he is, in his mind, as mean as he seems, though with Beast you get the sense that he is actually a big softie. One of their greatest similarities, besides their bestial forms and awesome gothic palaces is actually the potential for transformation. Evan acts the way he does because he has had so little contact with family, and has never chosen to love. He has experienced so much of the world's hardness and brutality at a young age. That, coupled with extreme intelligence and a nature that tends toward darkness, turned him into what he is today. But because of what he has not yet experienced, I hope that there is the hint that there is hope for Evan. That if shown the right goodness in the world by a figure compelling enough to impress Evan, by someone he could consider an equal, that he, too, could flower into a prince worthy of a fairytale. The Prince was once a little boy born to two very common Unis in Terror Mountain. He took on the colors of his parents, his father's shadow and his mother's blue, and he was unusual looking, but very cute. He had lots of energy and loved to play rough all day long. His father and mother loved him very much. When he was about five, he started becoming more difficult than the usual tantrums he had as baby. He hated being told what to do, and the battle for his independence had begun. At around eight, his parents tried to let him have more freedom and not correct him so much, but he displayed cruel tendencies. As a child it had been petpetpets, but then it was petpets, and then it was the kids at school. They had no choice but to intervene, though this drove their son farther from them. At thirteen, Evan ran away from home. He learned to pickpocket and sleep in garbage to stay warm. He nearly died attempting to steal from the Snowager. Even then, he was ambitious. But he was young and his parents had everyone looking for him, so he knew he would either be found in the civilization of Terror Mountain, or freeze where there was a lack of civilization. As a result of this realization, he went to Tyrannia. He survived well there, and learned fighting skills battling the creatures and the people of that land. At fifteen, he knew what obscurity was, and that if he didn't want to suffer that fate, he could not stay there. He crossed the waters to Meridell and immediately took a job as a saddle boy. He found, however, that men make hard masters. He went back to stealing, and discovered that this land was a mixture of Terror Mountain and Tyrannia in many ways, and he had experience in both. Meridell was neither freezing nor scorching, and its civilization was not advanced, but this was deliberate, unlike Tyrannia. There was civilization from which to steal, but when stolen from, the people fought back like animals. Six months after coming there he was finally captured by the royal guard as a nuisance to society, and taken to the dungeon. While there, Evan became enamored with palace life. They had so many expensive things, guards to do their dirty work, servants to do their bidding. They had dungeons and horses and the sports of fencing and jousting, and most of all, they had power. While there, he also met the son of the king. He was a pompous, arrogant, handsome boy who was softer than Evan though he had just as much of a mean streak. 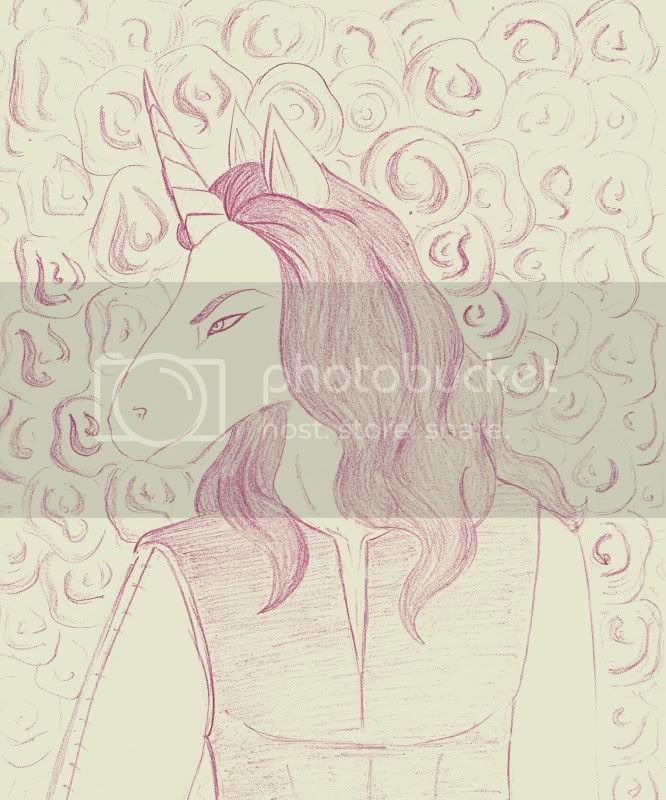 The prince, Dell, had come to taunt the boy his age who had been arrested for stealing. He wanted to look at someone his own age and species and feel in every way superior to him. But Dell was quickly surprised with how easily Evan turned the tables, despite being behind bars. After taunting and offending the prince, he began bragging to him about all he had done in his life. Dell did not believe - or did not want to believe - that Evan had done and could do so much that the prince had not. Evan said that not only could he do all those things, but that he could teach the prince how to do them as well. Over the next couple of days, Evan continued to sow seeds of rebellion into the prince. They had struck up a sort of comradeship feuded by their competitive natures. The prince helped Evan escape, which made him feel important for defying his father. Evan lived in the forest behind the castle for awhile after that. After a couple of months, he became known as the prince's friend, and was allowed to go wherever he pleased. Evan continued stealing - much of it from the servants and guards, and as his confidence grew, the palace itself. He tried to see how much he could get away with, stealing more and more valuable items, and then selling them. He bought fine clothes for himself, delicious food, good weapons, and even a steed. Dell didn't bother himself about where Evan got his contraband from, and while Evan sometimes bragged about his abilities as a thief, he never told Dell that he stole from him. The prince still looked down on his unroyal friend, and took every opportunity to rub Evan's face in the dirt. Though the prince's fighting skills had greatly improved during his friendship with Evan, he was not as intelligent nor as brutal a fighter. He was jealous of that, but he clung to the idea that he would someday inherit the throne, and Evan would still be nothing, proving once and for all that Dell was superior. The day came and went when the prince's father died, and his authority passed down to his son, the only remaining heir. At first, Dell was too busy to bother with Evan, and Evan, then nineteen, tried to go on with his life, and not to let it eat away inside of him that his lesser was now ruler of the land. But Dell soon came back to taunt him. Evan had moved away, so that his friend couldn't see him and make aside comments to his attendants about their "ugly pet dog" and have them all laugh. Evan, seeing that power had gone to Dell's head and made him careless, devised a plan. He moved back into the forest behind the castle without his friend's knowledge so that he would be able to spy on him. He trained, though he was fairly certain he could already beat the prince. And then one day, at twenty-one, Evan paid his friend a visit. Dell scoffed and laughed at the sight of him, so cocky now that he openly mocked his friend to others. Evan merely smiled and bowed. He then challenged him to a game of chess. While playing, they placed bets. They began low. First it was simple things like their swords. Then it moved up to their places of dwelling. Dell laughed, pleased and amused that the bets were unfair, since everything Evan had was worth so much less than what he had. Evan was careful to win and lose some, keeping Dell arrogant but also getting him irritated, subtly feeding him those old suspicions that he wasn't as capable as Evan. Finally, Evan dared him to bet his throne. Dell laughed, scoffing and refusing at first, but he could not endure that old haughty look in his friend's blood red eyes, nor the tiny, satisfied smile that curled around his teeth. Dell agreed, and Evan beat him in two moves. Enraged, Dell refused to honor their agreement. Evan openly mocked him for cowardice and lack of honor in front of the many watchful eyes that their game had collected. Desperate, Dell challenged Evan to a duel in which no one was allowed to interfere in. Evan accepted. They began by fencing, but the fight quickly deteriorated. Evan fought well and Dell knew he had been cornered, that the whole chess match had been a trick, and that what was happening now was his death knell. Evan defeated him in hand-to-hand combat, and was crowned prince. 1. Do you trade pets? 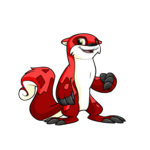 What are your thoughts/feelings on trading pets? I do trade my lab pets to get my dreamies, but I will not trade a permanent pet. I feel that trading is fine because it ensures that two pets go to homes where they are wanted. Because someone had to work for their pet, and a trader is not going to let a pet rot uselessly on their account, and since unused pets are one of my biggest annoyances with other users, I like trading because I feel that it addresses that problem. I think it goes without saying, though, that Evan would NEVER be up for trade. He would be a permanent pet whom I would cherish. 2. How many accounts do you have? What are their usernames? My main is StorkTradersGuild, but I am on my side account, ThatLadyWithTheDog, nearly as much. 4. Have you ever adopted a pet before? If so, which pet(s)? If you have any further questions to ask of me, please do not hesitate to contact me. My name is Elizabeth, though I go by Ell, Eliza, Stork, or Lady on Neopets. First and foremost, I am a writer. Perhaps because of that, I become very attached to my characters and the pets they are based on. I really love and enjoy art and anything artistic, and I also enjoy leadership and organization. I adore reading books and watching movies for the artistry, characters, psychology, and plot. I love coding and working on petpages and lookups, probably for the same reasons. It is important to me to have pet lookups and/or pages that represent them as well, and I enjoy customization. I run several sites, check my lookup for the most recent listing. You are welcome to contact the following people to ask them any candid questions about me that you'd like. 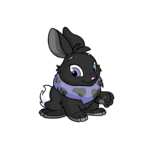 My well-loved permanent pets. Click on their headshots to be taken to their lookups. 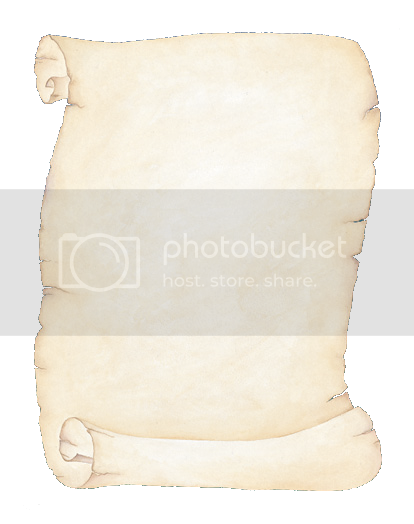 In this section are the Prince's gifts for visiting his page. There are all kinds of lovely adoptables, as well as a very fun quiz you can take! Please do enjoy. Use these adoptables to your heart's content! Press CTRL+A in the text box to take a code for an image. Just please remember to leave a link crediting this page. This quiz is done on a scale of one to ten, 1 being that you definitely agree with the first answer given, and 10 being that you definitely agree with the last answer given. The numbers in between are the shades in between. For example, if you are equally torn between the two answers available, than mark 5. Put your number in each box to easily add them up at the end, to find your score. 1. a) (For girls) Whom would you prefer, Will Turner or Jack Sparrow? 1. b) (For guys) Whom would you prefer, Batgirl or Catwoman? 2. Do you think that the world would be a better place if you ruled it? 3. Would you sacrifice one [random] person if that would save the lives of three [random] others? 4. Have you made fun of places without adequate security? 5. Do you find yourself sympathizing with outlaws or hoping they escape justice? 6. How do you define villainous actions? 7. Do you enjoy outsmarting people? 8. Does it give you a thrill to break the rules? 9. Are you a liar? You are not villainous at all. In fact, you're probably a goodie-two-shoes. While your morality is commendable, don't forget to be forgiving of the faults of others. You have the average amount of villainy lurking around inside of you. I wouldn't be too concerned about it, though I do advise that you re-take this quiz often to make sure you don't turn nasty. Woah, you are a total villain. Remind me to keep my valuables locked up if you're around. You may want to start thinking about others more, and stop being so villainous. Farewell, good reader, and thank you for all the time you have spent here. I wish you a pleasant journey. I would be remiss if I did not thank all the people without whom this application would not have been possible. Firstly, I'd like to thank you, for having such an amazing pet up for adoption. Secondly, I must thank my honest-to-goodness fairy godmother, Ginna. You are one of those rare souls so kind that it is truly an honor to know you, and I look forward to our friendship. Thank you, Megan for untangling my coding snarls with your web design expertise. This page may not have made it through the new coding filters without you, and then where would I be? A sincere, grovelling thank you to all the artists (Kouji, Ginna, Birvan) who did art of Evan (I will forever covet your talents). Thank you, husband, for patiently putting up with my absences as I've slaved over this pet app, bringing me food as otherwise I would have forgotten to eat, and all that. You are the best husband a Neo-loving girl could ask for. A thank you to all my readers who read and reviewed this page, it would have been an unpolished mess without you. And finally, thank you, underwateranthro, whomever of the above mentioned people you might be. Without you taking the time to read this page, it would have all been an unseen effort. Header image by Kouji and Ginna. Navigation scroll from "My Expressions" Stationery.